Fewer and fewer home buyers are visiting an open house during their home buying process. Why? Well, the internet is one big reasons. Along with the basic listing information, the photos and virtual tour videos give a prospective buyer a very good idea on what a home looks like inside. The second reason is that most buyers don’t want to be cross examined by the Tucson Real Estate agent at the open house. Especially if you are already working with a Tucson Realtor. However, if you are driving through a neighborhood you are considering as a future home, here are a few helpful tips on visiting an open house in Tucson. Research properties you want to see and schedule your day so you are able to see a reasonable selection of homes in neighborhoods of interest. Use our easy search link to find an open house in the Metro Tucson area and surrounding communities. Also, set a reasonable schedule based on the number of open house stops you plan to make. Don’t forget travel times. In general, allow about 15 to 20 minutes for each open house visit. Needless to say, this will be longer if you want to open all the draws, doors, cabinets, visit the garage and check out the views. Already Working With An Tucson Realtor? If you are already working with a Tucson Realtor, you should let the agent hosting the open house know. Realtors are required to ask each buyers if the buyer is working with another agent, but frequently they have a memory lapse. The simplest way to inform the open house agent that you are already working with another agent is to give them your agent’s business card. We make it a point to give each of our buyer clients our business cards for that specific purpose. Just give it to the other agent and say, “This is my agent.” Armed with this information, the agent at the open house will not try to solicit you. Well, they aren’t suppose to anyway! If you don’t have a business card, just tell them you are working with “Agent ZZZ”. You don’t need to sign in or give them any of your contact information. When you are working with Kim and me, we will show you all the homes you are interested in. Including those being hosted as an open house. Our job is to make your home buying experience as easy and stress free as possible. Having us show you neighborhoods, homes and open houses means you won’t get lost or need to find directions. Also, we can immediately answer your questions and point out interesting and some times “fun facts”. You get all that for one low price $ZERO. Since the seller of the home you eventually buy pays the commission we receive to represent you, why not have us working for you? 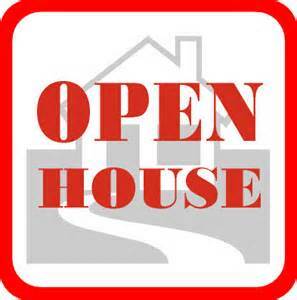 If you want to take pictures at the open house ask the on site real estate agent if it is OK. The home is someone’s private residence, so before you snap a photo or pull out the video recorder, ask if it will be all right. We find that after visiting 3 or 4 homes the details of each stop become harder to recall. So make a few cryptic notes of what you like and don’t like. A few key notes will make the recall a lot easier. Focus on a dominant feature or color at each open house you visit. The “blue” wall, octagon window, what ever you feel is distinctive to you. Remember, the agent hosting the open house works for the seller NOT you. In the long run, it is best not to share any information that could effect a later negotiating position. Think Miranda rights — anything you say can and will be used against you in a potential negotiation. It’s okay to ask about the seller’s motivation and if there are any offers. Find out if there are special assessments or other fees. And it doesn’t hurt to get the agent’s insight on the neighborhood and nearby schools. Also, recognize there are some questions Realtors are restricted from answering. Frequently, the open house agent is filling in for the actual listing agent. That means they may not know anything about the property beyond what is on the Tucson MLS listing sheet. When you are working with us, we will get the information for you before showing you any homes. Then you will know it is correct. If you have questions or need more information after the home showing we will find out the answers and provide them to you. Thinking of Tucson AZ as a future home, a winter retreat or potential place to retire too? We can help.